How do drive modes work? Do I need them on my car? Drive modes alter vehicles' driving characteristics by changing elements such as steering weight, engine, gearbox and suspension settings. Vehicles with selectable drive modes often have up to four or five settings, all of which have their own distinct pre-set configurations. These can take the form of Economy, Comfort, Sport, Race or Off-road/Winter modes. Switch your car into Comfrot mode and the adaptive suspension (if fitted) will become softer, the throttle and gearbox (if automatic) slower to respond and the steering lighter. Some premium cars also allow individual changes to be made to existing settings and saved in a personally tailored mode, meaning sporty heavy steering can be teamed with comfort suspension settings, for instance. Another feature seen on some models is an automatic drive mode. This allows the vehicle to switch between settings depending upon how it’s being driven and the prevailing conditions. For example, a motorway run with the cruise control on might send the car into Comfort or Economy mode, while an enthusiastic drive along a country road could activate a sportier configuration. The best drive mode selectors can really change the feel of a car, like on the new BMW 7-Series. One minute you can be driving along in what feels like a nimble sports car, and the next in a comfortable motorway cruiser. However, other systems make little discernible difference, especially if the car doesn’t have an automatic gearbox or expensive adaptive suspension – features which help make the most of switchable driver profiles. 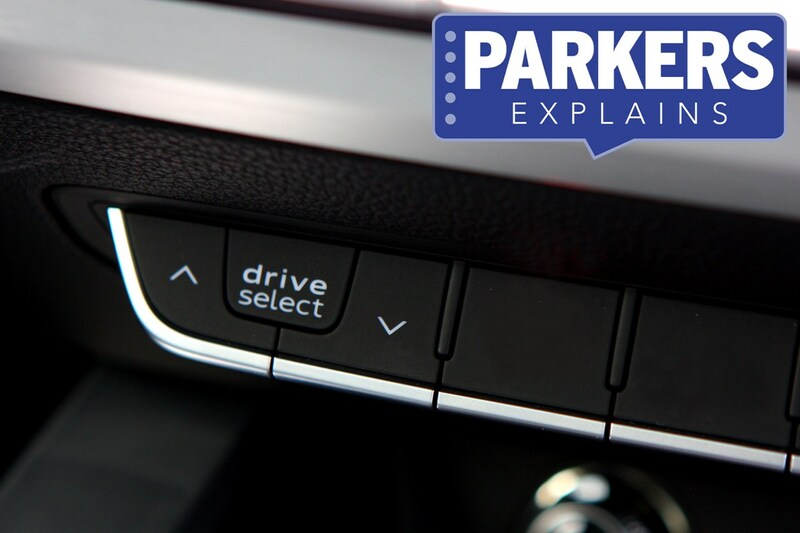 If you’re not convinced, take a test drive and see if you can tell the difference between each drive mode. Drive mode selectors can be specced as an option on more humble cars such as the VW Scirocco and Audi A3, yet feature more commonly on expensive models such as the BMW 3 Series and Jaguar XF. Adaptive suspension, Drive Select, Driving Experience Control, Dynamic Select.